Other features include a Function (L-Fn) button, which can activate one of 20 separate features of the user&apos;s choosing, together with an Organic EL Lens Information Panel that not only displays focus distance and depth of field, but aperture and focal length, among other information. The optic also becomes the first in the series to sport a manual focus ring that&apos;s independent of the customizable control ring. 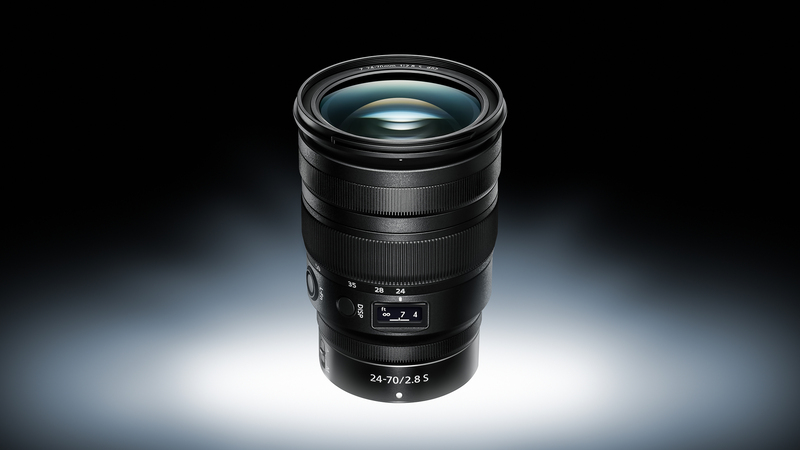 Said to be 24.7% lighter and 18.4% shorter than the AF-S Nikkor 24-70mm f/2.8E ED VR lens that&apos;s compatible with the company&apos;s DSLRs, the 17 element/15-group optic has been constructed with dust and drip resistance, with a fluorine coat on the front element that&apos;s said to repel dust, water, grease and dirt. Focusing, meanwhile, is handled by a stepping motor, while a new Multi-Focus System is intended to deliver fast and quiet autofocus, regardless of subject distance.